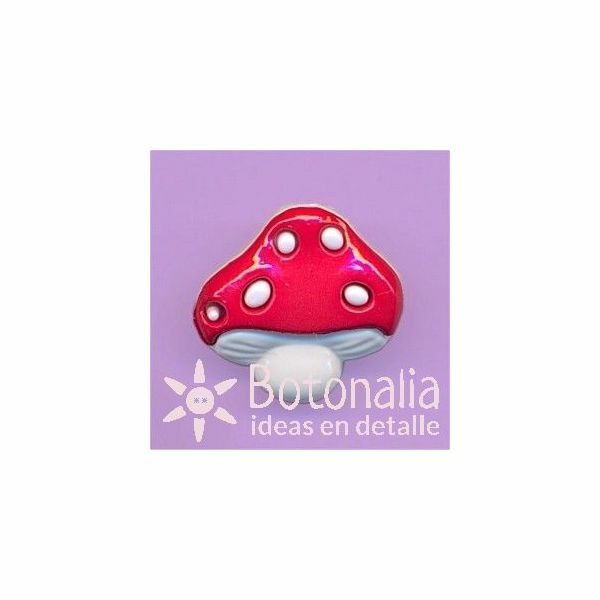 Decorative button with the shape of a white and red mushroom. 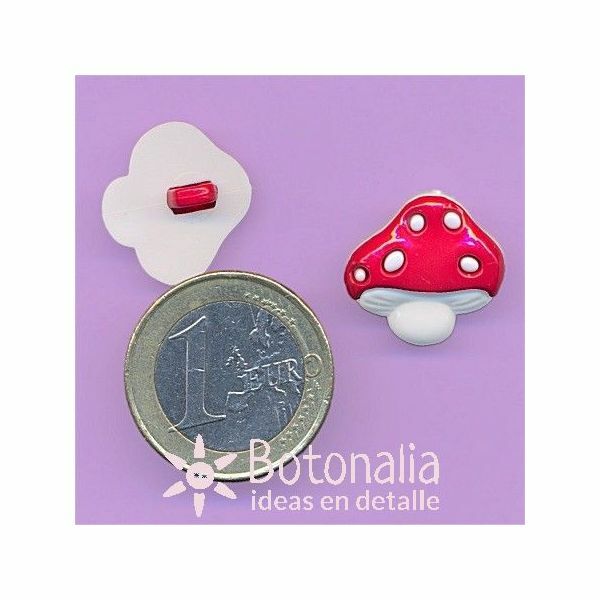 Product Description: Decorative button with the shape of a mushroom in white and red. To be used in scrapbooking, card making, crafts, patchwork and general sewing projects.